Two years ago, I happened across a book by an author I'd never heard of. 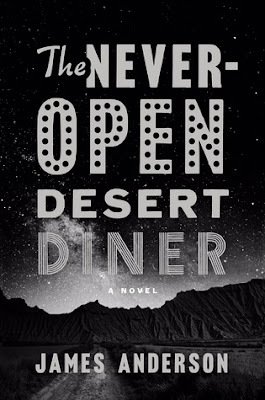 The book was "The Never-Open Desert Diner," and the author was James Anderson. I talked about it endlessly (including right here), because it hit me like a ton of bricks. "Powerful" is, I think, a much over-used term when it comes to books. And that's sad because it's the word that continues to come to mind whenever I think about "The Never-Open Desert Diner." Powerful. Lyrical. Poetic. Compelling. Passionate. Beautiful. I wanted to share it with everyone I know. And, I waited rather impatiently for the next Ben Jones novel by James Anderson. Well, it's here and it was worth waiting for. The title is "Lullaby Road." It's an interview I'm proud of and James gave us a little more of himself than I anticipated. 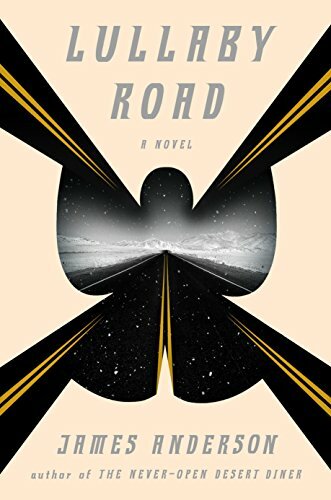 Read the interview, please, and then, if you haven't already, treat yourself to "The Never Open Desert Diner" and "Lullaby Road." I haven't read Lullaby Road yet, but The Never-Open Desert Diner is a book for a writer's soul. I gave it to a writer I know, and he loved and savored it. Thank you, Kaye. Neither of us would have read it if you hadn't been an advocate for this book. And, thank you for interviewing James, who answered in a very open, revealing fashion. Thank you to both of you for sharing.